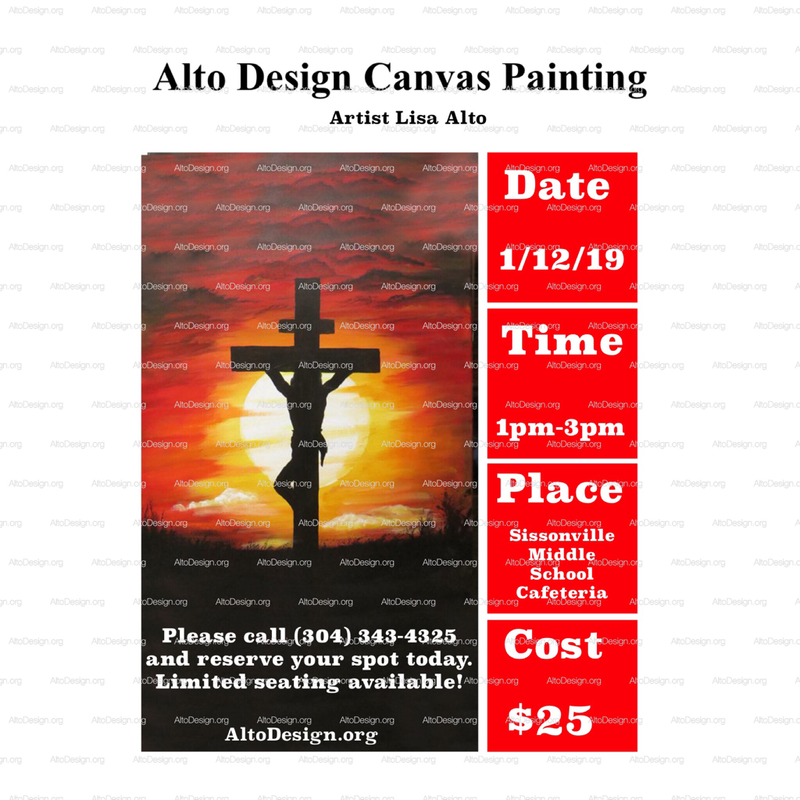 Alto Design artist Lisa Alto will take you step by step in creating your own Masterpiece. No experience necessary. All materials provided. Guests are welcome to bring a non-alcoholic beverages and snacks. Doors open 30 minutes before scheduled start time. Start time is 1pm and ends at 3pm. Seating preference is on a first come first serve bases. Reserve your spot today limited seating. Due to time involved in preparing project prepayment is required. NOTE: There is an additional $1.06 processing fee for all credit card payments. Or call (304) 343-4325 for check & cash orders to reserve your spot. THE EVENT BEGINS PROMPTLY AT SCHEDULED START TIME.